Investment cast stainless steel replaces cast iron in this redesign of the classic No. 043 plough plane. The essence of the tool as a simple, fast, quiet way to create grooves for drawer bottoms, back panels, windowsills, picture frames etc is retained. But with better materials and a bit of lateral thinking, a few notable improvements have been made. The greater strength of steel and a clever rethink of the rear fence rod hole has enabled Quangsheng to replace the stippled casting web of the original with a larger, more comfortable, open bow handle that you can really tuck your fingers into. The Quangsheng 043 comes complete with a set of eight metric and imperial blades and a kerfing saw blade. Most sheet material these days is metric, but the imperial cutters give you the option to choose a sliding fit to allow for expansion and contraction. The other significant change is the addition of a clamping attachment so that a saw blade can be connected to the skate. This allows the plane to be used for cutting arrow straight starter kerfs for rip sawing boards to width and for cutting accurate stringing from the corner of a blank for inlaid work. Rather than expecting you to make your own, a removable American Cherry sub-fence has been included with the tool, the larger contact area improves stability and accuracy. The fence is relieved so that you can still use a portion of a wide cutter to form a rebate on the edge of a board. Like the original it also features the ultimate in state of the art airborne dust management - not producing any in the first place! Supplied complete with 1/8, 1/4, 3/8, 1/2 inch, 3mm, 6mm, 9mm and 12mm cutters and a kerfing saw blade. Very nice ,but a couple of gripes. The quality is very good all in all but I do have a couple of gripes , first off the saw blade can not be used with the depth stop as the saw blade retainer is thicker than the depth stop and if its switch to the other side the screws get in the way of the depth stop. The second thing is the the plane was not very well protected in the packaging the fence has dents and chips and the plane has some scratches and the corners some nicks , a shame it wasn't more protected because it seems to be well made. I bought this for the kerfing plane mode. It does the job nicely, although having used this for some time now, I would say the tool is on the small side. I don't think I have big hands, but I found it awkward to wrap my hands around the handle in any combination of fingers in the handle/out of handle that wouldn't leave some fingers vulnerable to hitting wood when using the tool. So can't work that fast with it and with prolonged use is tiring for the hands. Apart from that, a beautiful tool, with adjustable skate lending to versatility. I first tried this accidentally mounting the saw blade the wrong way round. How dull of me! Tried again after reassembling it the right way round, which was quick and easy. Adjusting the fence took a bit more time because of the need for accuracy. ( needed to resaw a piece of wood 1"+ thick to give me a piece 3/8" about 9.5mm). I need better lighting and maybe better glasses. The wood was quite soft and I made a trial on a cut off. This time the kerf was crisp and straight and made the job of resawing down to 10mm easy. The kerf was a bit wider than my Japanese rip saw, but deeper into the cut, the kerf held the saw straight and firm. A few passes with a smoothing plane brought the trial piece of wood down to 3/8" in no time at all. Excellent! My first attempt at hand resawing a satisfying experience and a success with this tool. 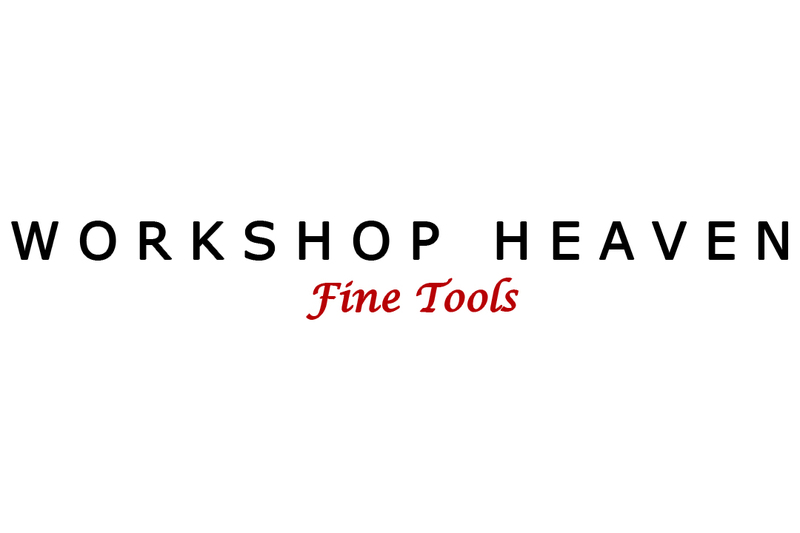 Thank you to all at Workshop Heaven. In future I think I will buy another of these planes and keep one as a permanent kerfing plane and the other as a plough plane.